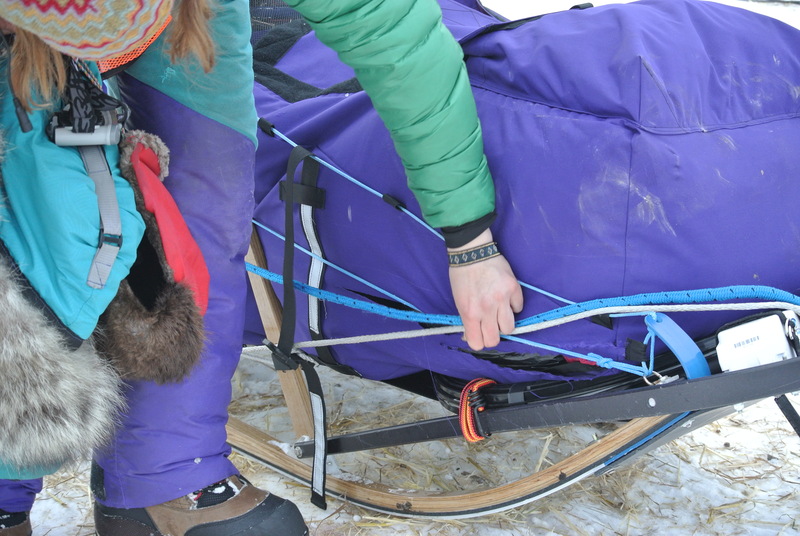 The last 10 mushers are just making it into Nikolai this early morning – a few are here and a few are on the trail trying to get here. Our friend and fellow teacher Angie Taggart just came in. She and her dogs look good although she is contemplating dropping a dog here. She reported that the gorge was not so bad, but the burn was horrendous. She tipped once and ran into a tree that ripped her bag. As of now she’ll leave it as is, but will try to repair it further down the trail. She’ll rest here for 6 hours then make her way to McGrath. As of my last count, 77 dogs have been dropped from the race. I visited the dropped dog lot here this morning where 19 dogs currently reside. Most of them are resting, but one is pacing, perhaps wondering why he’s still here. The dropped dogs from this checkpoint will be sent to McGrath where they will meet other dropped dogs from nearby checkpoints. 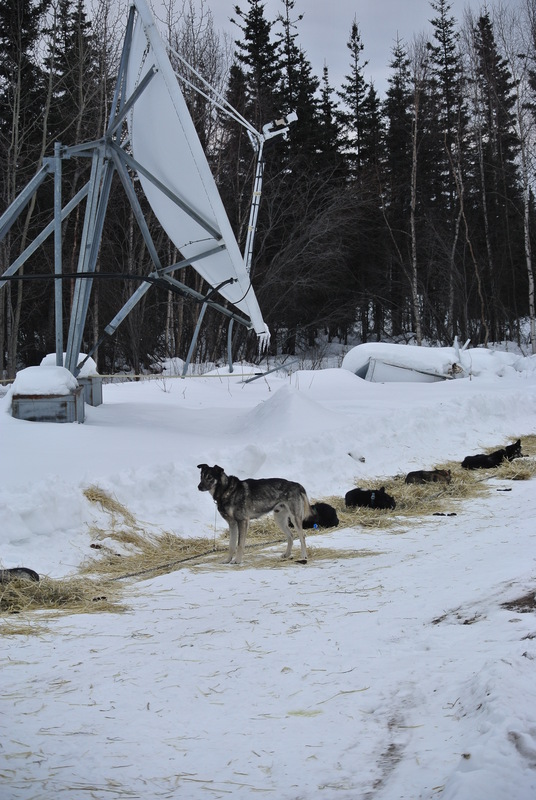 From McGrath they are sent back to Anchorage and cared for there. As for me, I’m not sure what checkpoint I’ll be sent to next. Wherever it is I know I will be met by friendly volunteers and vets who make this the Last Great Race.